Joe Biden poll: Quinnipiac survey suggests veep would fare better against Republicans than Hillary Clinton. Vice President Joe Biden speaks at the Civil Society Forum at the National Academy of Sciences on August 4, 2014 in Washington, D.C. The Biden bubble is showing signs of popping but for at least one more day the veep’s supporters can continue to dream. A new Quinnipiac University poll out Thursday suggests that Joe Biden would fair better than Hillary Clinton in hypothetical general matchups with a trio of top Republicans. The vice president bested Donald Trump by 8 points (48-40), Jeb Bush by 6 points (45-39), and Marco Rubio by 3 points (44-41) in the survey of registered voters. Clinton notched wins in all three contests as well, but her margins of victory were less than half those of Biden. She edged Trump by 4 points (45-41), Bush by 2 points (42-40), and Rubio by only 1 point (44-43.) Bernie Sanders, meanwhile, beat Trump and Bush by 3 and by 4 points, respectively, and lost to Rubio by 1. The usual polling caveats apply: We’re talking about a single survey taken more than a year out from election day. Many voters aren’t paying attention yet—roughly a third of respondents, for instance, said they hadn’t heard enough about Rubio to even have an opinion about him—and the state of play both politically and economically could be vastly different 14 months from now. 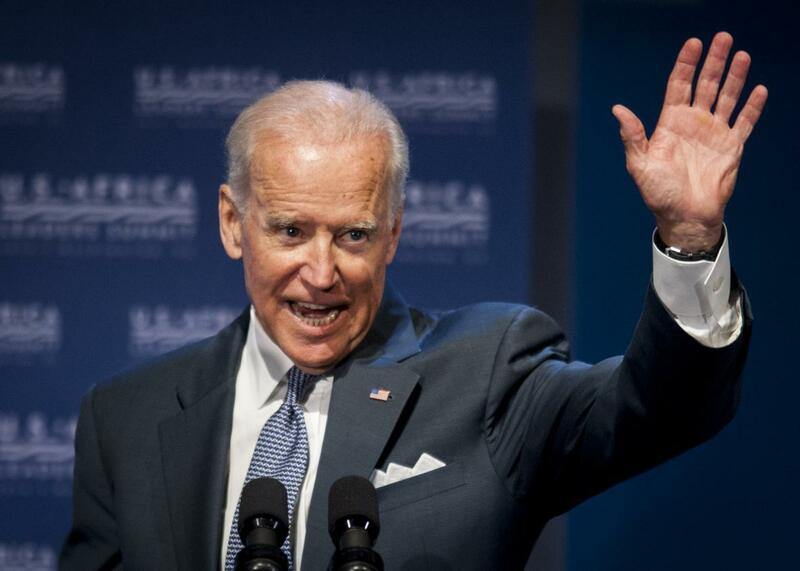 Meanwhile, when it comes to a potential Biden candidacy the key word is potential. All the will-he-or-won’t-he speculation is giving the vice president his moment in the sun right now, but if he does declare he’ll end up facing plenty of partisan shade. Today, non-candidate Biden has the sympathy of a nation following the death of his son. Tomorrow, candidate Biden would be a target for both Republicans and Hillary’s army of supporters and surrogates. Still, if Biden’s looking for a reason to run, a poll like this won’t hurt. Policy wise, there isn’t tons of space between him and Clinton. As a result, his best bet to woo Democratic donors and voters would be to make the case that he’s better suited to win come November 2016. These results support that argument, albeit only marginally. Of course, the survey also includes a stark reminder that Biden would have his work cut out for him unseating Clinton as the Democratic favorite. Hillary garnered the support of 45 percent of the poll’s Democratic respondents, compared to 22 percent for Bernie Sanders and 18 percent for Biden. Those numbers are roughly in line with RealClearPolitics’ rolling average, which have Clinton at about 48 percent, Sanders at 26 percent, and Biden at 14 percent.